The Florida Lottery announces that Aniceto Estrada Carrillo, 63, of Wauchula, claimed the $550,000 LUCKY MONEY™ jackpot from the July 17, 2018, drawing at Florida Lottery Headquarters in Tallahassee. He chose to receive his winnings as a one-time, lump-sum payment of $397,851.96. 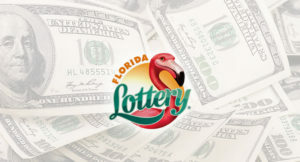 The Florida Lottery announces that Salvador DeLoera, 42, of Wauchula, claimed a $1 million top prize in the FLORIDA 20X THE CASH Scratch-Off game at Florida Lottery Headquarters in Tallahassee. He chose to receive his winnings as a one-time, lump-sum payment of $770,000.00. DeLoera purchased his winning ticket from Cardena Tienda Mexicana 2, located at 1775 North Florida Avenue in Wauchula. The retailer will receive a $2,000 bonus commission for selling the winning Scratch-Off ticket. The new $5 game, FLORIDA 20X THE CASH, launched on January 15, and features 14 top prizes of $1 million, and more than $110 million in cash prizes. The game’s overall odds of winning are one-in-4.22.